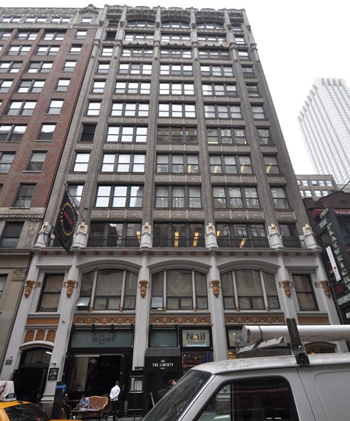 Empire State Equities, a partnership that owns 29 West 35th Street, has put the Midtown office building on the market. The 12-story Class B building, located between Fifth and Sixth avenues, was built in 1911 and measures 85,000 square feet. It’s being marketed by Colliers International, and sources told Real Estate Alert that bids could reach up to $80 million. The property features 8,200-square-foot floor plates and is 83.5 percent occupied, with tenants including social media site Sprinklr, marketing firm HelloWorld and virtual reality company YouVisit, Real Estate Alert reported. Empire State, whose sponsors include Paul Sohayegh and Roni Movahedian, bought the building for $30 million in 2007. The building’s net income was $3.3 million last year, according to a servicer report.